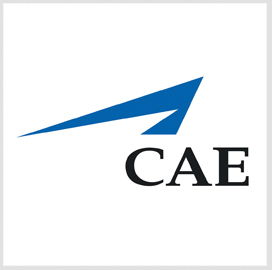 CAE has been awarded several contracts worth $89 million combined to provide full-flight simulators and training services for several airlines. The company said Wednesday it will train 100 more cadets for Japan Airlines as part of the extension of an agreement over the Multi-Crew Pilot License First Officer Program. CAE already trains the first batch of 100 cadets who are slated to graduate from JAL’s MPL program by the end of this year in Phoenix. Hainan Airlines and Asiana Airlines also ordered simulators from CAE for installation at their training centers. CAE will install its CAE 7000 Series FFS at Hainan Airlines’ training facility in China and provide Asiana Airlines’ South Korea-based center with its CAE 7000XR Series FFS. The company said it also secured a five-year contract to provide training services for Aurora Airlines’ A319 aircraft pilots in Gimpo, South Korea, and will provide simulator upgrade services for several air transport providers. Two airlines based in North America also selected CAE to provide FFS for their Airbus A330 and Bombardier CRJ900NG planes.